This newly updated and charming cottage is a part of Brewster history, located on the property of the Old Brewster Academy (c.1835) along historic Old King's HIghway (6A). This cottage is close to everything! Walk to the Old Country Store for an early morning coffee and paper or an afternoon ice cream cone. Breakwater Beach is a half mile away and can be accessed by a short drive, easy bike ride or good walk. Just up the road is the Cape Cod Bike Trail. Centrally located this cottage is close to everything! restaurants, antiques, horseback riding, golf, museums, shopping. Enjoy all that Brewster has to offer! Both bathrooms have been newly renovated and are very clean. There is a mini-split A/C unit downstairs in the main living area and kitchen. There are 2 A/C units upstairs for cooling. One set of bed linens per bed and bath towels are included. Beach towels are NOT included.The cottage is not heated. The cottage is exactly as described....clean, cozy, beautiful property and great location. While we didn't walk to the locations described the house was located close enough to conveniences that were a quick drive away. Had a wonderful week of family vacation with this cottage as our home base on the cape. Accommodated my husband, myself, our two daughters and my mom and her partner who stayed with us for first half of the week. Outdoor area was great.... Cute fairy trails in woods, playset, grill, firepit, large picnic table and umbrella. Brewster was very nice central location on the cape - we explored over to Falmouth one day and Provincetown the next and felt like we did the whole cape in one week. Ice cream, country store, and well stocked grocery store very close. Beach easy bike ride. Only real gripe was the ease of getting to bike path. The path itself is beautiful but the roads leading to it were dicey with kids. Lots of cars and winding roads. You could drive up and park in lot. We loved staying at the cottage. Very cozy with all the comforts of home. Centrally located on the cape, Brewster is a very convenient location to all the different towns, beaches, restaurants, etc. All in all, we had a wonderful week in Brewster!! 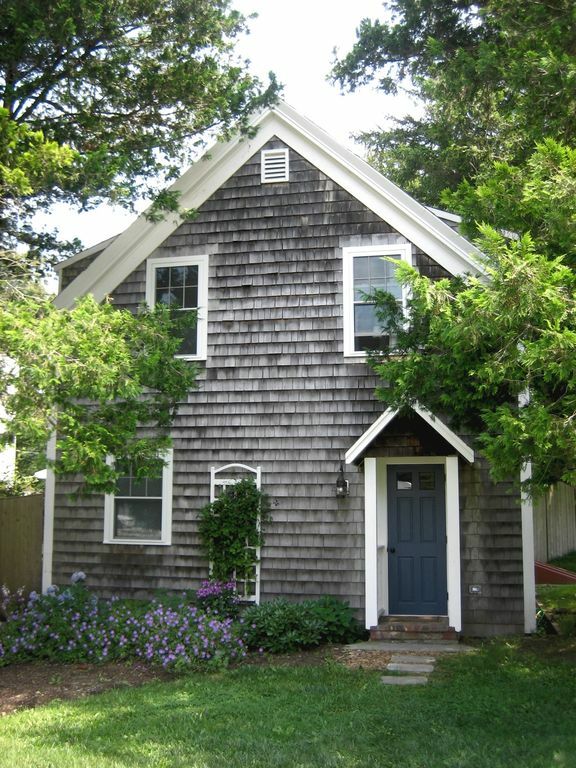 The cottage is in a perfect spot for little kids...close to library, ice cream, puppet show and Cape Rep theater, and Bay and Ocean beaches. Super clean, and has all the items we need for cooking and hanging out - books, games, dvds, beach chairs, coolers, picnic table, fire pit, play set for kids...ABSOLUTELY love it! The property is well kept, quaint, and just adorable. We really enjoyed our stay there, and it's a walking distance to the beach. The owners are very nice and accomodating. This cottage was exactly as described and pictured, but better. The owners, although on site, were very respectful of privacy. The cottage was clean and well taken care of. The location was perfect for us and we explored as much of the Cape as we could but plenty to enjoy right in Brewster area. We received our deposit back in a timely fashion and everything about our stay here was great! Thanks for sharing your cottage with us!